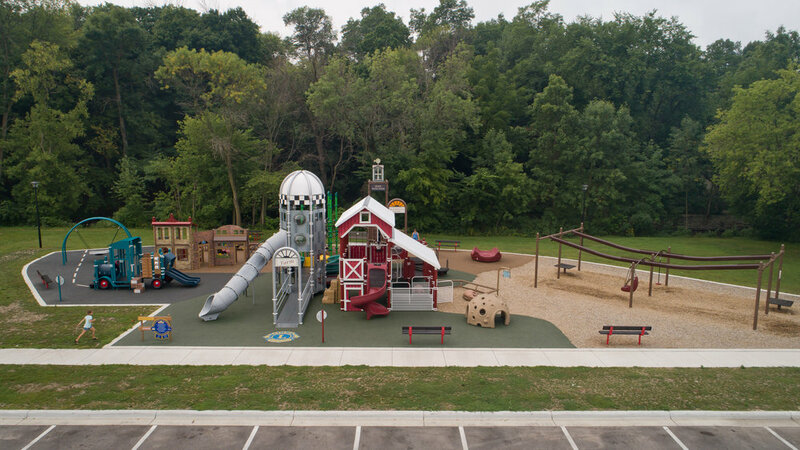 From pre-configured to custom, for all ages, abilities, and budgets, we have your playground needs covered! View our online catalogs or contact us today to discuss your custom playground design. We service the entire state of Wisconsin. The Cascata™ Bells combine ten bells of different tones for auditory and visual pleasure. Play one at a time with the attached mallet, or slide the mallet along all the bells for a fun music-making experience to stimulate the imagination. We create play environments using inclusive playground equipment that welcome kids and families of all abilities to learn, play and grow together. The great outdoors is the number one spot where kids can play naturally—making up their own games while freely exploring the world around them. We can help you design your own signature playground. Our approach to custom & theme playgrounds is as individual as your imagination. 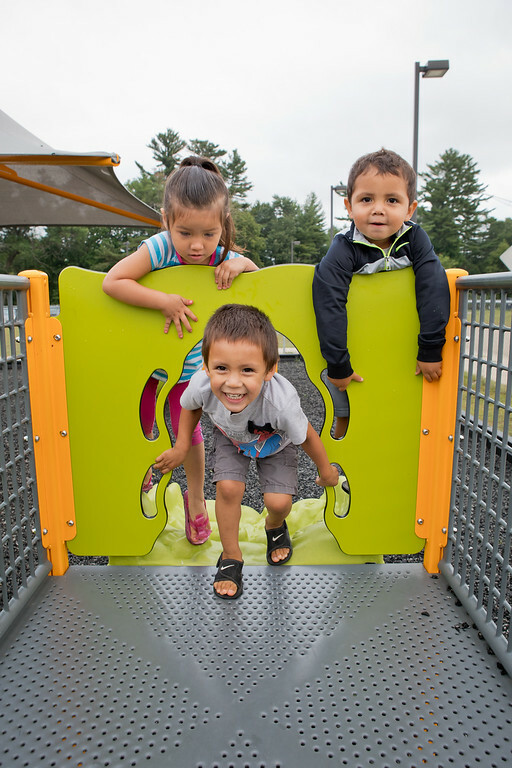 We offer playground equipment for infants, toddlers and preschoolers, and school-age kids that promotes active lifestyles and healthy communities. Gerber Leisure Products is proud to represent Landscape Structures, the only premier commercial playground manufacturer in the industry. They are the leaders in creating innovative, safe, accessible, built-to-last equipment and have been doing it for nearly 45 years. Landscape Structures pioneered "continuous play", the breakthrough concept that has become the standard for playgrounds everywhere!